Over the past decade, I have practiced a particular form of readerly tourism. When I travel somewhere that is the setting for a novel, I bring the book along and read a few pages while sitting in the specific location. For example, in 2014 I spent part of an afternoon in the Luxembourg Gardens in Paris, reading Victor Hugo’s Les Miserables. Later that same year I sat on a park bench in downtown Sauk Centre, Minnesota, and read Sinclair Lewis’s Main Street. This past September I was in London for a few days. As part of the never-ending exercise of attempting to turn myself into a well-read human being, every summer I read one enormous classic of world literature. 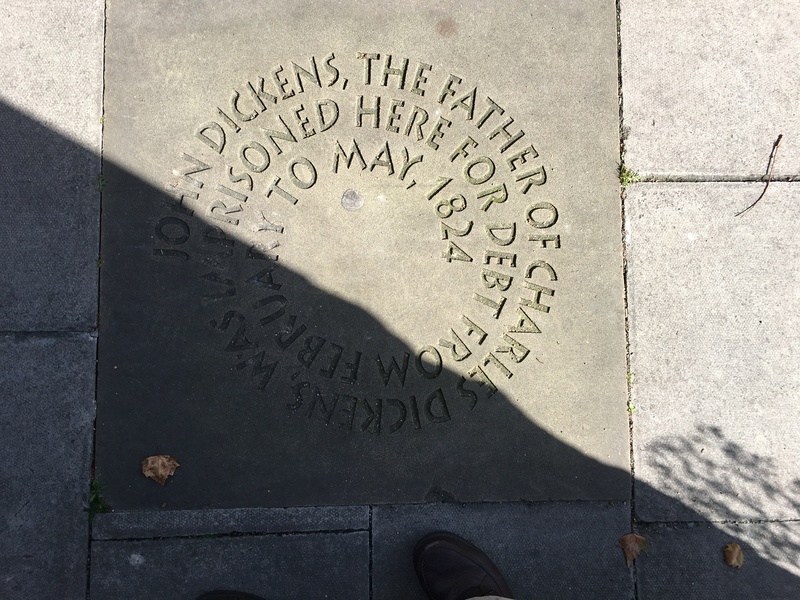 For 2017, the choice was Dickens’s Little Dorrit. 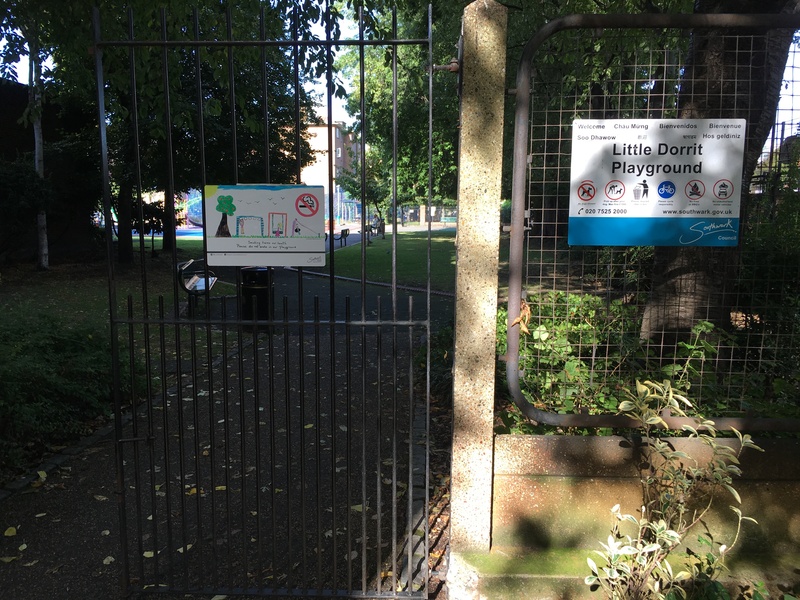 And so on a brisk, sunny September morning, I rode the Underground to Monument station, walked south across London Bridge and headed for Little Dorrit Playground, a small modern park for children in the neighborhood where much of the story takes place. As I sat on a bench, reading a chapter from the novel, a young mother played with her toddler daughter on the climber and swings. 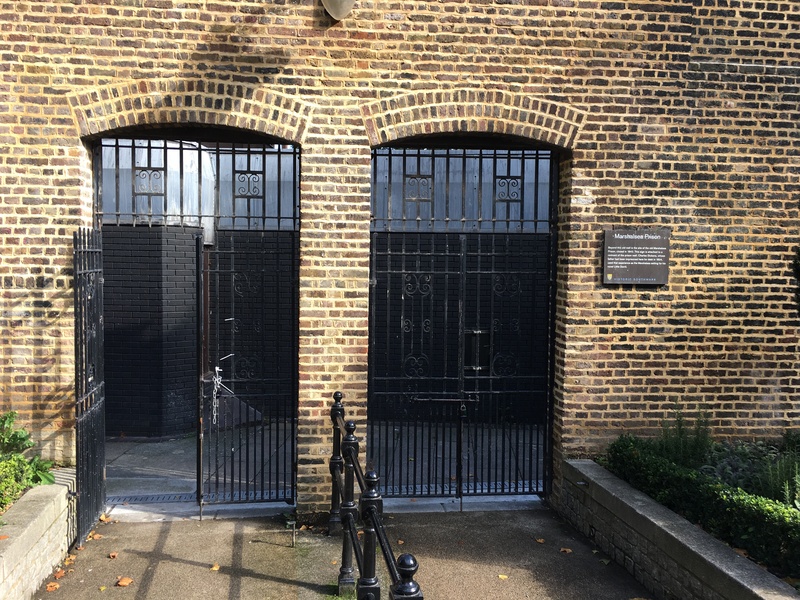 From there I walked across the street to the site of the old Marshalsea debtors prison, the central setting of Dickens’s story. 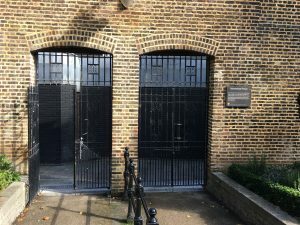 Only the southern wall of the “College” remains, along with some historical markers describing the significance of the site. A few months later, at the height of recommendation letter season, I find myself recalling a specific passage from the novel. Pancks, the comical ‘Grubber’ (bill collector) who haunts the impoverished neighborhood of Bleeding Heart Yard, is repeatedly figured as a kind of overcharged motor (“a little steam-engine with more steam than it knew what to do with”). 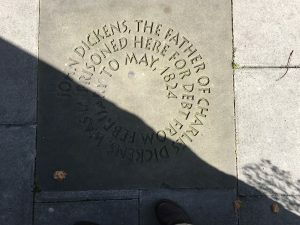 Later in the novel, Dickens gives Pancks a memorable opportunity to demonstrate a powerful sense of working-class resentment against the capitalist class in the figure of his boss, landlord Casby. But the passage that comes to mind now is where he talks about the relative value of personal references in determining the creditworthiness of individuals. ‘As to being a reference,’ said Pancks, ‘you know, in a general way, what being a reference means. It’s all your eye, that is! Look at your tenants down the Yard here. They’d all be references for one another, if you’d let ’em. What would be the good of letting ’em? It’s no satisfaction to be done by two men instead of one. One’s enough. A person who can’t pay, gets another person who can’t pay, to guarantee that he can pay. Like a person with two wooden legs getting another person with two wooden legs, to guarantee that he has got two natural legs. It don’t make either of them able to do a walking match. And four wooden legs are more troublesome to you than two, when you don’t want any.’ Mr Pancks concluded by blowing off that steam of his. And so, yes, I’d be happy to write that letter of reference for you–and for you, and for you too. The more, the merrier. Meanwhile, I’ll be dreaming about what book to read next summer–and where it might take me.